Radio is a platform for passionate broadcasters, Asian Star Radio is a well established brand and is growing, we have a vision to expand to many more platforms after only recently having done so. Our audience is growing and therefore there is a demand for radio presenters. We are in search for a Drive Time presenter for our afternoon show week days Monday to Friday from 4pm till 7pm. You must have the desire and a passion for radio presenting ideally experienced in presenting a fast paced drive time show already and some music knowledge of Asian music though this is not essential, full training will be provided for the right candidate. Our offices are located near London Heathrow and we are looking for a candidate that will reside locally to this vicinity. So want t be on the radio? Have a great on air personality? Can engage with an audience from the comfort of a radio studio? Punctual? Comitted? Then this could well be a position for you. Radio presenting is not for everyone, so we will be looking hard for those positive qualities that you will need. 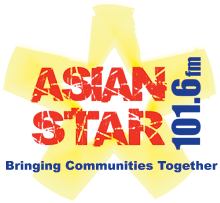 We also have vacancies for weekend radio presenters right now, so get in touch with a cv and a 2 minute demo of your voice to our email info@asianstar1016.co.uk please note these posts are open to UK residents only.